Opportunity awaits! 4-Plex; 1 Unit $560, 2 Units $600 each. Each unit has its own kitchen with refrigerator, range/oven, BDR/BA, stacked washer/dryer & seperate utilities. New hardwoods in lower units and newer carpet in upstairs unit. 3 units have tiled floors in kitchen and bathrooms. Fresh paint. New AC/Furnace in 1 Unit. Curbside trash pickup. Minutes from Plaza and schools. From I-70, take exit 6 for Van Brunt Blvd. Head South on Van Brunt Blvd. Turn right onto Linwood Blvd. Turn left onto Brooklyn Ave. Turn right on 35th Street. Destination is on your right. From US-71, Head west on E 35th. Kansas City is located in Missouri. Kansas City, Missouri 64109 has a population of 475,378. The median household income in Kansas City, Missouri 64109 is $45,376. The median household income for the surrounding county is $46,917 compared to the national median of $53,482. The median age of people living in Kansas City 64109 is 35 years. 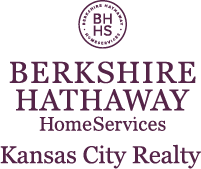 I am interested in 1808 E 35TH Street, Kansas City, MO 64109.